Exeter Analytical (UK) Ltd - Elemental Analysers and Elemental Analysis. 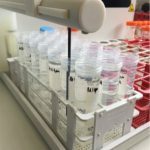 Exeter Analytical (UK) Ltd is currently seeking a LABORATORY ANALYST with experience in running ICP-OES. Exeter Analytical specialises in the Elemental Analysis for a wide range of sample types for various industries. 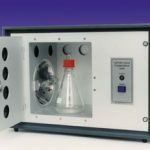 The Oxygen Flask Combustion Unit from Exeter Analytical - for preparing samples for elemental analysis of Halogens, Sulphur, Phosphorus and some metals using the Schöniger flask method.